Many seniors living independently at home are doing so primarily alone, and often with limited mobility and connection with others. 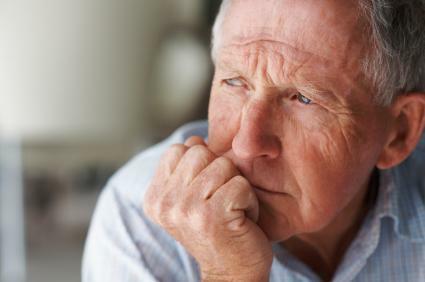 While the daily routines of such a lifestyle can be stressful, the occurrence of hardship in a senior’s life can make living independently even more difficult – often causing depression or fears about their ability to continue to stay at home. A recent article in the Huffington Post highlighted these issues in a discussion with senior survivors of Hurricane Sandy. In the piece, Joe, a 78-year-old amputee in Breezy Point Queens is spotlighted for the community that has rallied around him to help bring his home and independence back to life. However, the former “Mr. Fix-it” has found himself feeling useless as he stands by and watches others do the work he once so loved to take part in. Other seniors along the Eastern seaboard are also struggling to rebuild their homes and lives in the wake of devastation from natural disaster, however events like fire, tornado, flood or even a tree falling on a home in a storm can be just as devastating for people. Fortunately, with the support of a community, many seniors can rebound from hardship to continue to lead a full life – independently and at home. One of the best tools to assist in this pursuit is home care accompanied by a robust home care software or home care system that can be used to manage activities. Opening Up: A caregiver may often be the first one to ask a senior how they feel after a major event, providing an oft welcome opportunity for seniors to open up. Home care software or home care system, such as ClearCare, can be used to help caregivers track a senior’s feelings and communicate them back to family members and other care providers. Reconnecting: Disaster can be a catalyst for helping seniors reconnect with loved ones who they may have pushed out of their lives in the past for any number of reasons. However, in the wake of hardship, family and connections are important as ever. If no family is nearby, or available, in-home caregivers can be a wonderful source of companionship and connection for seniors who thrive on interaction. Re-establishing Routines: Seniors often benefit from routines. If a hurricane has stopped a senior’s ability to meet her friends for weekly coffee at the senior center, or a daily walk route has been cut off, re-establishing old or new routines can help regain a sense of normalcy. Home care software or a home care system, such as ClearCare, is a perfect tool for helping in-home caregivers manage senior routines to ensure that seniors know what to expect in their daily lives – providing a sense of comfort and security. Take Stock: For seniors who may already have so little, losing a lifetime of possessions in the damage of their home can be devastating. However, caregivers can help remind seniors to take stock of what’s important: that they still have their lives. For seniors struggling with emotions, however, home care software or a home care system can be used to keep tabs on good and bad days – keeping all members of a care team in the loop. Recovering from a natural disaster at any age can be difficult, and even moreso in the later years of life. However, in-home care, managed by a home care software or home care system like ClearCare can help seniors bounce back with more vigor and confidence than doing so alone.